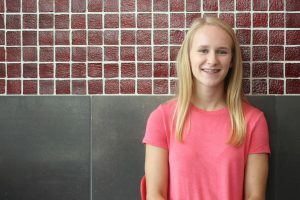 Kendall Moore is a sophomore, and this is her first year on the Trojan Messenger staff. She loves God and watching basically any show that has anything to do with vampires. She cheers competitively with Carolina Elite and runs track for Tunstall. She wants to study to become a pharmacist.